May 13 is International Hummus Day: Are you ready? 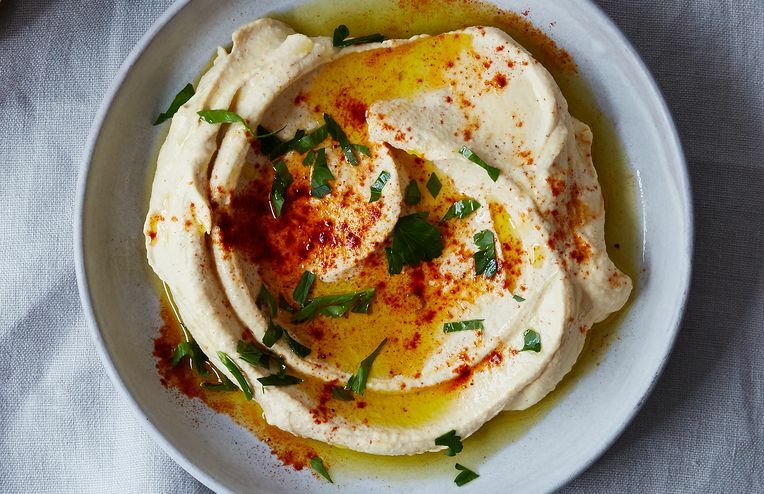 The most talked-about hummus of 2015 has one more trick to teach us. Michael Solomonov introduces us to the best of Israeli cooking. There are a million ways for hummus to be yummus. Bring a little fire to your fries, pizza, and just about everything else. Why an ingredient you've been throwing away is actually the key to smoother hummus. Oops! All you need to turn a can of chickpeas into the most versatile dip around is a food processor and a little creativity (and some good olive oil won't hurt, either). You can count on chickpeas. A hearty vegan sandwich for those days when you can't even look at kale. In honor of Mother's Day, we're keeping it all in the family -- the pea family, that is. This week, Nicholas spreads the brilliance of bright red beet hummus. The editors of Modern Farmer share a Hard Squash Hummus recipe from San Francisco's Bar Tartine. Gabriella shares some penny-pinching ways to keep your fridge stocked with pesto, tapenades, and more. Dine al fresco, without the price tag. Perfectly smooth DIY hummus in a fraction of the time -- thanks to a simple, brilliant trick. Beans: the cheap chef's best friend. Gena introduces us to hummus' spunky big sister: a white bean dip laced with fresh herbs.